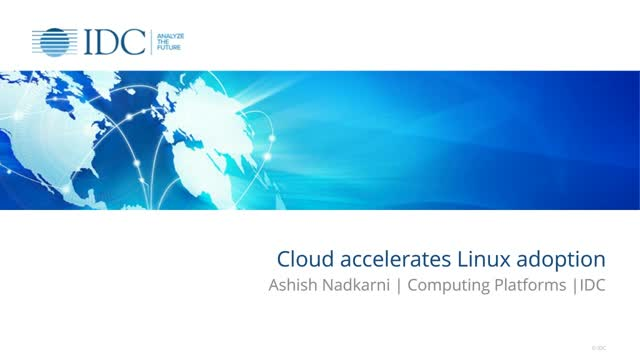 In this webinar, IDC analyst Ashish Nadkarni will provide a market perspective on how cloud is accelerating the adoption of Linux. In this context he will provide an overview of the commercial Linux market from a datacenter and cloud perspective. He will then describe the buyer journey in the digital economy, and why the use of the right type of operating system is crucial for this journey. He will discuss the importance of a business-ready and battle-tested Linux platform for mission-critical workloads on-premises and in the public cloud. He will summarize with essential guidance for the technology buyer. Karen Sigman from Oracle will cover how you can optimize your infrastructure environment today with Oracle Linux to get ready for migrating to cloud environment in the future. Want to learn how artificial intelligence and machine learning (AI/ML) can further improve your business?